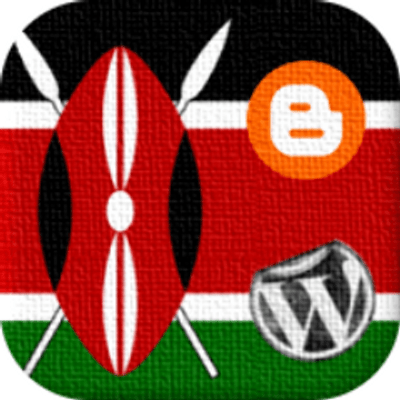 As an organisation that represents the interest of bloggers and content creators in Kenya, we the Bloggers Association of Kenya (BAKE) are concerned with the process followed in the jailing and prosecution of Kenyan Bloggers and Online Content Creators. The Kenyan Government is seemingly becoming quite intolerant of voices of dissent and dissident Kenyans who have taken to Social media platforms to exercise their freedom of speech. In December 2014, Allan Wadi was sentenced to serve 2 years in jail for a hate speech offense against President Uhuru Kenyatta due to updates on his Facebook page. Kenyan Blogger Robert Alai is currently out on bail for a case brought against him for undermining the President due to his tweets published from his twitter handle. Nancy Mbindalah. A 24 year old student at the Mt. Kenya University is in police custody for allegedly insulting the Embu County Governor on her Facebook page. This comes at a time when utterances that were evidently hate speech were made by the Member of Parliament for Gatundu South, Moses Kuria on the same Social Media platform. However, the Member of Parliament was pardoned by the National Cohesion and Integration Commission for the similar charges of Hate Speech on Social Media. No jail term has been given to the Member of Parliament. While we do not, in any way condone the behaviour of some online content creators, be they our members or not, we find the rulings punitive and a means to discourage free speech online.These three cases of Allan Wadi, Robert Alai and Nancy Mbindalah have brought to light the government’s curtailing of free speech by the Kenyan online community and the limitations to their rights as Kenyan Citizens. We do not regulate bloggers and we do not plan to. Blogs and social media are tools for self-expression and interaction. They allow Kenyan Citizens and to exercise their right to free speech and expression on the internet. We thus cannot curtail these freedoms. We however do require that our members adhere to a code of conduct especially in regards to plagiarism, defamation and adhere to our country’s laws. There is increasing pressure to, not only regulate bloggers, but also, to intimidate them into silence for revealing information that the public have the right to know. We have launched the iFreedoms project through the Kenya Monitor platform. This project will promote internet freedom in the East African region through digital security and safety skills development, creating awareness on the status of online freedoms and how to protect them. The project will amplify the voices of citizen journalists on freedom of expression and engagement, utilise art and culture to promote internet rights (artivism) and continue to document threats to access, privacy and security online in East Africa. We are also working towards provision of an in-house legal counsel that can advise as well as offer legal representation to our Blogger members who find themselves wrongly accused. Freedom of expression is enshrined in Article 33 of the Constitution of Kenya and includes the right to seek, receive or impart information and ideas, while Article 31 provides for the right to privacy. It is our hope that the existing laws will work towards the protection of all Kenyan Citizen online as well as protection of free speech rather than its misuse to selectively punish and discourage online discourse.